Wetcare uses highly sophisticated systems which safely clean all articles of clothing that normally are dry cleaned. Wet cleaning uses water; nature’s best cleaning solvent and a safe biodegradable detergent mixture to clean. The biggest advantage of wet cleaning technology is that it is the most effective way to remove water based stains and odours, rendering clothes not only truly clean, but fresh smelling and the process does not expose workers or customers to toxic chemicals. A wide variety of materials and garments can be cleaned in a wet cleaning system. The original WetCare system developed by Miele fulfills all the necessary requirements to produce excellent cleaning results – offering perfect protection for the fabric and a pleasant freshness for the cleaned garments. Miele WetCare is truly a great alternative to dry cleaning. 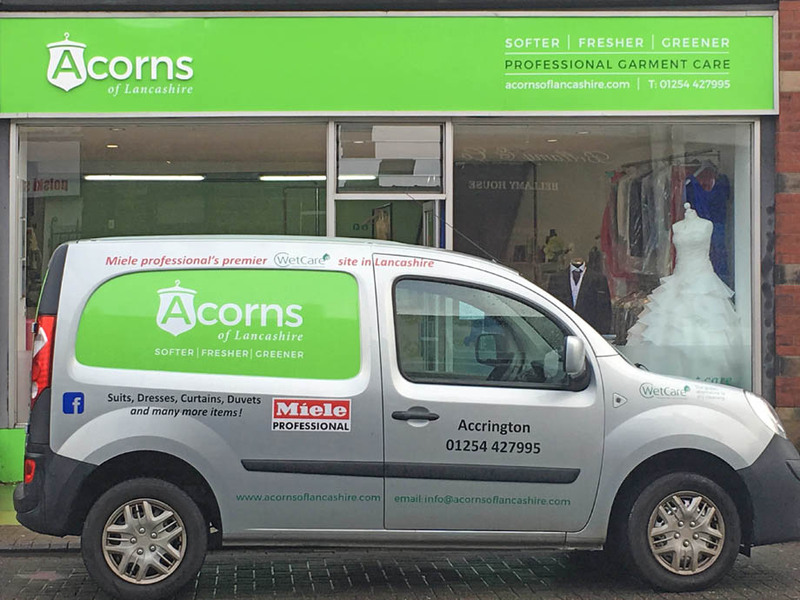 Acorns of Lancashire are a corporately and socially responsible company.